This page shows the latest Orbactiv news and features for those working in and with pharma, biotech and healthcare. dalbavancin) and The Medicine Company's Orbactiv (oritavancin). The Medicines Company’s Orbactiv and Cubist’s Sivextro set for European approval. ... Orbactiv and Sivextro are already recommended by the US FDA to treat these forms of infections. 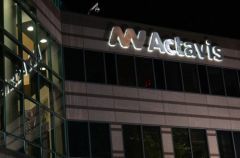 In addition to Sivextro, the agency also gave a green light this year to Durata Therapeutics' Dalvance (dalbavancin) - recently acquired by Actavis - and The Medicines Company's Orbactiv (oritavancin). Cubicin (daptomycin) and Sivextro (tidezolid) and The Medicine Company's Orbactiv (oritavancin) in the ABSSSI category.